Adolf Tragler has one goal in mind – to live in a slum-free city. Keeping this motto in mind, Tragler started the Slum Rehabilitation Society (SRS) in 1972. Tragler, born and raised in Austria, had a wish to study in a foreign country. He had many options in mind and settled for India after having visited the country along with a missionary group. Thus is 1962, Tragler set foot to India, where he completed his Bachelors of Arts from Fergusson College in Pune and then came to Mumbai to complete his Masters in Social Work from the Tata Institute of Social Sciences (TISS). “The first time I came to Mumbai, I was shocked to see the plight of slum dwellers and that is when I decided that I had to do something for them,” says Tragler. SRS targets individuals and families who have been forced to live in slums due to the absence of affordable housing facilities. SRS works only in Mumbai under the ‘Free Housing Policy’ of the government. The main areas of operation are Kandivali, Oshiwara, Bandra, Dharavi, Dindoshi, Mahalaxmi and Chembur. “We think of what can be done on the land that they are already occupying. In cases where the slum dwellers are occupying land reserved for open spaces then we try to relocate them to the nearest place available,” informs Tragler. SRS normally meets the slum dwellers and helps them form an association and elect representatives from among themselves who could approach builders to rehabilitate them. According to the Slum Rehabilitation Authority (SRA) guidelines, a slum can be rehabilitated only with the consent of 70% of the occupants. If the land is a private land, the No Objection Certificate (NOC) has to be obtained from the owner of the land so that slum dwellers can apply for acquisition of the land. SRS adopted a slum in Mahalaxmi and each family from the slum contributed Rs. 25,000 and collected an overall total of Rs. 40 lakhs. Seeing the level of commitment, HDFC Bank sanctioned a loan of Rs. 1 crore for the project. “When people pay for their house only then they will realise the value of it,” says Tragler. “We encourage slum dwellers to develop the land they are already occupying to reap maximum benefits from the land. Getting a builder to do it often benefits the builder more than the slum dwellers,” he adds. This was the first major project approved by the SRA where residents themselves financed their own housing rather than depending on builders. Another activity of SRS is post-rehabilitation. “There are people, after getting free houses, sell it off or lease it and come back on the road. In such cases we counsel them into keeping their own houses because a permanent residence always helps them raise their social status. However, sometimes these people need ready cash say to pay for their daughters marriage and are hence forced to sell their houses,” says Tragler. As part of post rehabilitation, SRS has also mobilised women to approach authorities for adequate water supply and cleaning drainage systems around the buildings. 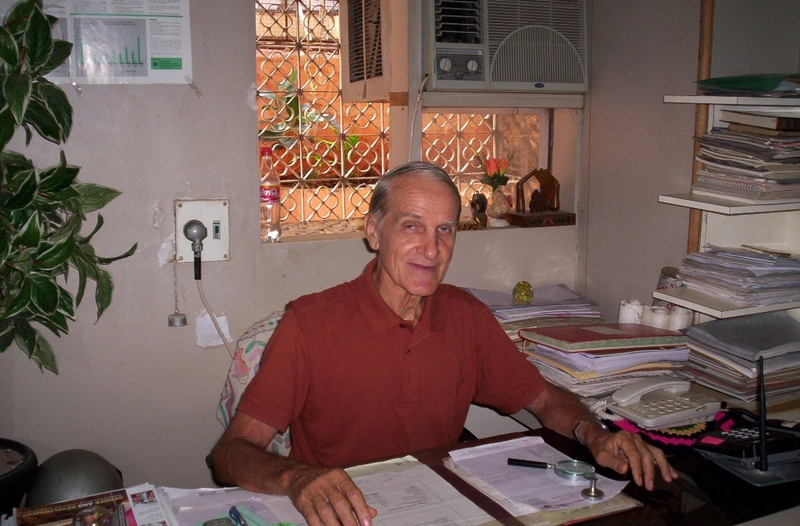 Today, Tragler, aged 70 lives with his wife in Bandra and can speak fluent Hindi and Marathi. He has an Indian citizenship and visits Austria every 3-4 years to visit his family. “I have to obtain a visa like any other Indian to visit the country of my birth,” he says.